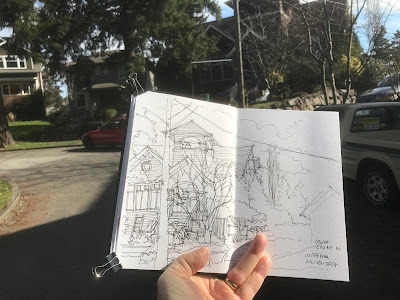 Did a walk around Green Lake today and then decided that it was warm enough to do some sketching outside. I remembered that there was an old school house on the north-east side of Green Lake that I had once seen in a Green Lake Neighborhood Inventory and so decided if I could find it. It took me driving up a few side streets until I found it at the round-a-bout on Orin Court. It was built in 1916 and has a bell tower with a bell still up in it. I don't know what it is used for now, but it seems to be well care for. 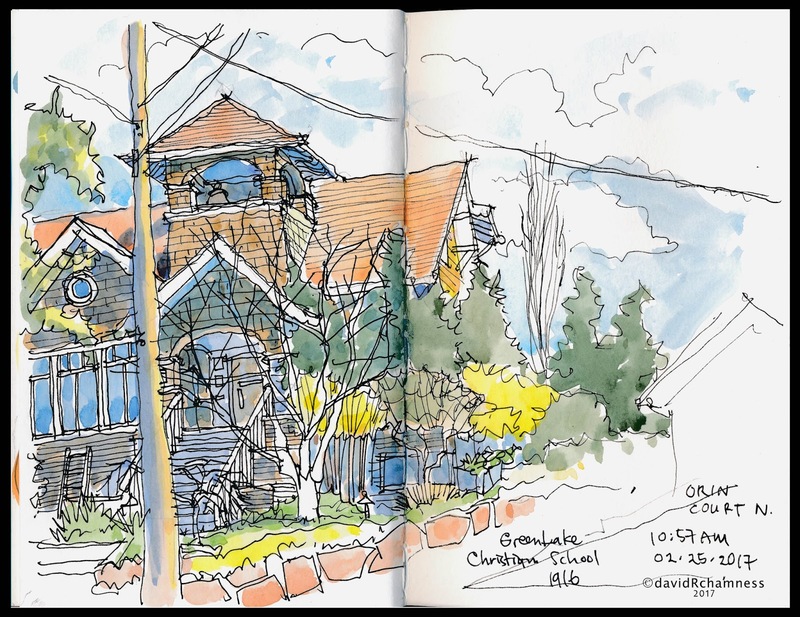 After finishing, I decided to head up to Eastlake to sketch a coop apartment building that was built in 1909. L'Amourita (French-Spanish for "lover") is a mission revival building built by developer Adolph J. Jarmouth. Great post and different in feel from your "in construction" images from the high-rises of Lake Union/Amazon areas. I like these because of the mood they create. Thanks. 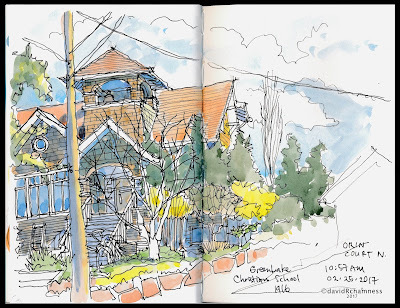 I have driven by that bell tower many times in my 'hood but have never stopped to sketch it. Now I definitely want to (but I'll wait for the temps to go up a little)! Lively sketches, David, as always. 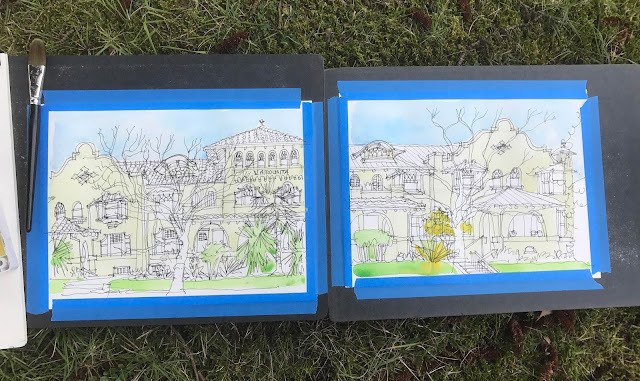 Like the unpainted white space, that created depth!very nice sketches!